We're excited about our fledging work in the fields of transportation and environmental justice. In 2018 Lyfe Productives is building out and implementing the deployment strategies for Los Angeles Department of Transportation's adaptation of Vision Zero in corridors throughout South LA and neighboring areas. The aim of VisionZERO is to reduce pedestrian deaths in LA to zero by the year 2025 via a multi-faceted prevention approach that blend education, planning, engineering, and community engagement to meet its goal. In collaboration with Zeldesign and a sleuth of CBOs deeply rooted in neighborhoods- this unprecedented rollout engages drivers, municipalities, and stakeholders in accountability measures to keep all Angelenos safe. Since 2016 we have been proud and humbled to be working with one of the most important Human Rights NGO's in the country, The National Fair Housing Alliance. We've built the websites for their commemoration of the 50 year Anniversary of the Fair Housing Act of 1968, and are enthusiastic about our remaining work to connect both philanthropic and corporate sponsorship dollars to their year long event calendar delivering tangible tools for people to assert their full citizenship and continue the assertion of fair housing as a human right. In 2017 we collaborated with famed actress and icon Zendaya to write and co-produce for her Zendaya App produced by Whalerock Industries: “The Bazics”. The Bazics delivers 4 minute smartphone and social media friendly bi weekly news updates geared towards a 14yr – 30yr old demographic- covering everything from politics and finance to social justice and environmental awareness. Each segment will feature a provocative presentation of current events in the news often not inclusive of teen and young adult audiences on traditional news platforms. Each episode ends with a celebratory ‘Good News’ highlight that lifts up a positive and inspiring happening in the world. In 2014- 2015 LP has contracted with the Anti-Recidivism Coalition to bring their agency and its members a course on social literacy and navigating relationships. Our course is titled "Relate2Relate" and has been an absolute hit with the agency and members. Relate2Relate is an open forum course exploring the way the neighborhoods, families, and country we grow up in impact not only the way we relate to others, but also how we treat and value ourselves. The class is fun, interactive, and will definitely get us all thinking. This is a safe and non-judgmental environment. All are welcome! 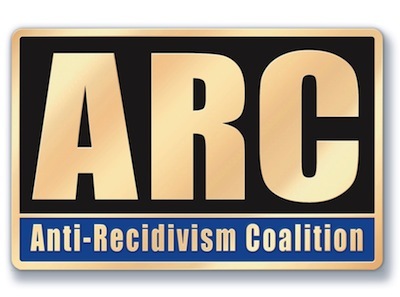 ARC is a phenomenal organization and effort working with formerly incarcerated people and advocates to bring personal and institutional reform to sentencing and imprisonment practices nationwide. Learn more about the Anti-Recidivism Coalition here and click here to see what members are saying about Relate2Relate! California Affordable Housing Initiatives, Inc. In 2013 Lyfe Productives collaborated with California Affordable Housing Initiatives to create a conceptual art exhibition tilted Brighter Than Blight. The project was ambitious and massive; transforming a blighted and condemned housing project in the Bay Area into a living art piece honoring residents and serving as a narrative on housing as a human right. Not only was this project unprecedented, it was a stellar success! Brighter Than Blight was covered by major media outlets throughout the state and attracted a broad audience as well as hired and educated dozens of young people and community members. For 2 years Lyfe Productives developed, implemented, and facilitated a health disparity program for Kaiser Permanente. Live UP is a youth empowerment program that engages young people in health education while supporting them in the creation of prevention based solutions to health disparities in under served communities. Our ultimate goal is to expose these fantastic young people to career opportunities in health care and build collaborations with medical institutions to support their strides to become leaders in health and wellness. It is our belief that the only way effective sustainable change can happen regarding health disparities is if programming not only expands the knowledge of youth participants, but also heightens their compassion and moral obligation regarding promoting healthier living within our communities. Our strategy includes a solid comprehensive social awareness component that exposes the institutional factors that fuel foul health conditions in under served communities. Also, we employ a youth campaign component that is designed to challenge participants to see beauty in their environment regardless of the conditions and call on themselves, peers, teachers and community members to join their campaign for healthier living. We worked closely with Eddie Griffin and Front of The Bus to build images and graphic design content to support the hilarious and politically charged humor of the famed comedian. The show went on to be a hit when it premiered on the Comedy Central Network, officially ushering LP into the word of commercial television content production. 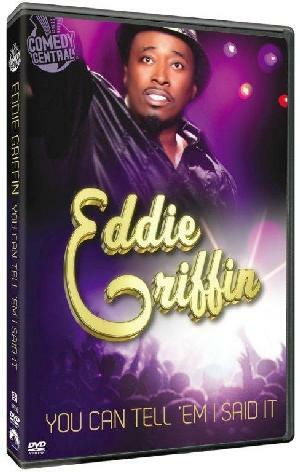 Since then we have independently produced a sold out large commercial theater stand up show for Eddie Griffin in No. Cal and developed and launched the merchandising and audience interaction platform for his residency in Las Vegas at the Rio Hotel. Lyfe Productives developed the sponsorship deck (click here to view) for the prestigious and world renowned Pan African Film Festival- which is celebrating its 25th year of presenting stellar films by and about Black people from all over the world. PAFF premiers both commercial Hollywood blockbusters and phenomenal independent works, galvanizing major media and sponsorship support from outlets such as Los Angeles Times, ABC, Playbill.com, Ebony Magazine, Cadillac, and Okay Africa to name a few. A well articulated sponsorship deck and strategy is the cornerstone of generating revenue and excellent programming for large media festivals. Getting The Most Out of Life (GTMOL ) is an innovative and unprecedented effort for hospice care in Northern California facilitated by the Alameda County Department of Health. GTMOL advocates for all people to have access to end of life planning and affordable hospice care for families supporting elderly or terminally ill loved ones. Since the program’s inception, Lyfe Productives has developed the outreach interface and branding of the campaign. Currently, we are the lead for the implementation of a provocative outreach and messaging campaign that unites the cause of GTMOL with National Healthcare Decision Day 2014/2015. Lyfe Productives developed and has implemented throughout California (Oakland, San Bruno, Fresno, and Los Angeles) a young men's development program with great success. Game Literacy is a multi-faceted Social Literacy/Life Skills course geared toward informing both the heart and mind of teenage boys approaching young adulthood. We've found that this program is applicable and of great need to various demographics of young men, as it challenges false common narratives of manhood and empowers the holistic development of considerate, confident, humble, and non-misogynistic men. Lyfe Productives is excited to be developing branding and strategic marketing formulas for Leadership Excellence, a leader in the education and advocacy of Black youth in Northern California. Leadership Excellence’s approach employs highly provocative educational tools and cultural enrichment to institutionalize knowledge of self and personal/social ethics to not only serve as violence and health disparity prevention measures for young people, but to empower them to lead healthy and productive lives.